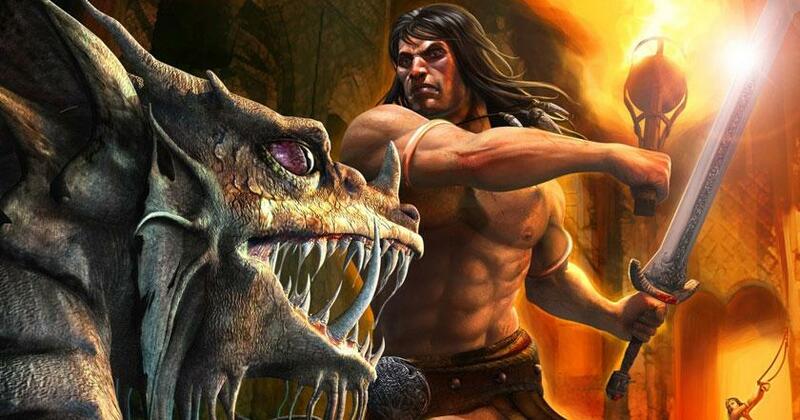 RPG Adventure MMO 2017-08-02 Age of Conan: Unchained is an MMORPG that's based on the timeless classic comic and TV series, Conan the Barbarian. Featuring one of the best fantasy-themed lore, the game also has a very unique action-based combat system that, despite its steep learning curve, is comparable to that of TERA... though, we'd say that combat in this game is much more varied. You can weave spells, attempt to capture battlekeeps with massive siege machines and even enjoy some good ol' mounted combat that is surprisingly not at all too clunky. However, you should bear in mind that this MMO has been around for quite some time, so the graphics in this game might be a tad bit old fashioned. What we love the most about Age of Conan is that the game actually rewards players who go off the beaten track and explore the secret corners of the world that questlines will never bring you to. The shift from being a subscription-based MMO to becoming a free-to-play MMO has been very well-received too, mainly because it injects a certain amount of much-needed players into its population and well, it allows newcomers to try the game out at no cost.